Have you lost one or several teeth? Do you wear uncomfortable dentures? In case of loss of one or several teeth or even completely toothless jaws, we can replace these teeth with dental implants. 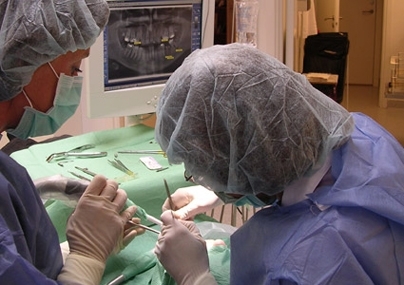 We use the one step dental implants. According to this you need only get operated on once and then wait only between 2-6 weeks for the new teeth. 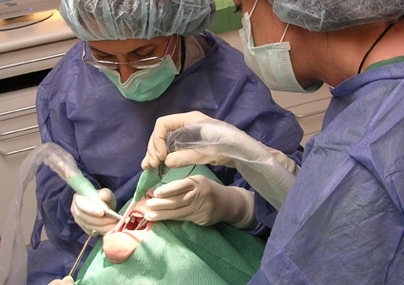 Installation of implants, which takes about an hour and occurs with local anesthesia. After 6 weeks the abuttments are installed. 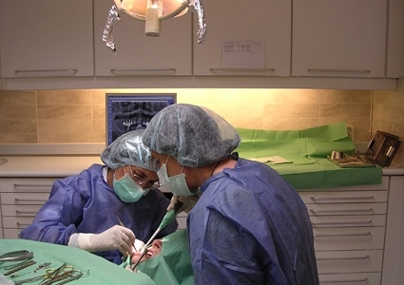 Sometimes we can do this the same day as the operation depending on the quality of the bone. 7 days later the new teeth are completed with a natural appeal. To get improved teeth quickly. No damage of the surrounding teeth due to drilling. No unnecessary pressure of surrounding teeth because of wearing a denture. No pain due to bad fitting bridges. 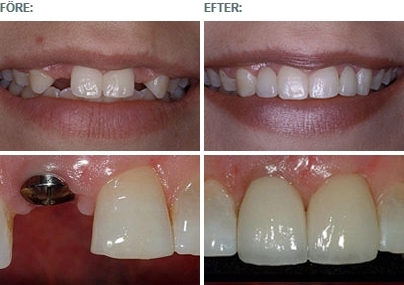 Dr Shahla Hassanzadeh at our office gives the entire implant treatment. You do not need to go to several different clinics and wait for several different appointments.